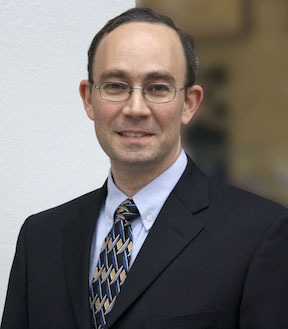 Daniel Horowitz, the genealogy expert from MyHeritage, will give two presentations at the Sunday, Aug. 26, 2018, meeting of the Jewish Genealogical Society of Illinois at Temple Beth-El, 3610 Dundee Road, Northbrook, Ill. Registration and networking at this free special event will open at 12:30 p.m.
At 1 p.m., he will speak on “Research Genealogical Resources in Israel From Your Couch.” Horowitz will explain how to access useful online resources available in Israel to find relatives. Israel has many websites and digital searchable resources in English and Hebrew. He will tell how family history researchers can overcome the barrier of the language with a fast introduction to Hebrew, learn the keywords needed and the translation tools available to help you deal with the sites where you can find information about people who were born, lived or died in Israel. MyHeritage DNA provides two main features: DNA Matching for finding relatives, and detailed ethnicity reports that map your ethnic and geographic origins, he said. The DNA Matching service enables those who use the test — or who have tested through other services — to use MyHeritage’s DNA matching capabilities for their family history research. For every DNA Match, MyHeritage displays the possible relationship between you and the other person. If your match has a family tree, you’ll also be able to view it and get more insight about how you are related: the ancestral surnames in both trees, a pedigree chart for the two main individuals and any possible SmartMatchs between the trees. You can then contact your DNA Matches to exchange information and collaborate on your research. Daniel Horowitz was the teacher and study guide editor for 15 years of the family history project “Searching for My Roots” in Venezuela. Working at MyHeritage since 2006, he is currently their genealogy expert, involved in the areas of product development and public affairs, and lecturing at genealogy conferences around the world. Dedicated to genealogy since 1986, he coordinates multiple transcription projects and holds board-level positions in a couple of genealogical societies. For this special meeting, the JGSI research library and help desk will not be available. No meeting is planned for September, but they well return for the Oct. 14, 2018, meeting. While this program is free, those who join the Jewish Genealogical Society of Illinois for $25 have access to several valuable members-only resources on the JGSI website. They include video recordings of more than 30 presentations from past JGSI events, valuable informational handouts from past speakers, access to past Morasha newsletters containing informative articles about Jewish genealogy, and searchable databases. To learn more about the benefits of joining the Jewish Genealogical Society of Illinois, go to http://jgsi.org/membership_benefits.